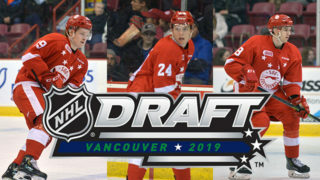 Facing the unenviable task of being down 2-0 to one of the hottest teams in the Ontario Hockey League, Tim Gettinger scored what could be the biggest goal as a member of the Soo Greyhounds. 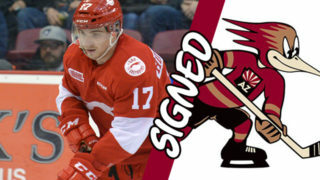 The veteran forward scored 1:15 into overtime to give the Greyhounds a 5-4 victory over the Owen Sound Attack, evening the best-of-7 series between the two clubs at one game apiece heading to Owen Sound. 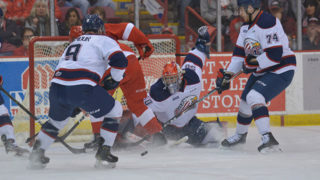 “We knew we couldn’t go down to Owen Sound down 2-0,” Gettinger said. After Hayden Verbeek forced an Owen Sound player off the puck below the goalline, the overage forward hit Gettinger in the slot. 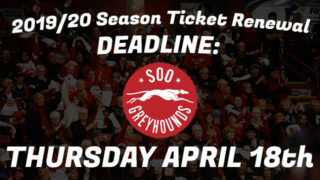 The Greyhounds captain proceeded to beat Owen Sound goaltender Olivier Lafreniere 5-hole to give the Greyhounds the victory. 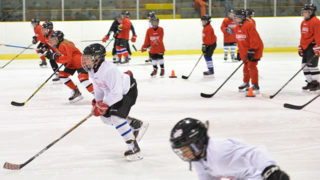 “Beeker out-battled his guy and made a really great play to Timmy,” said Greyhounds Coach Drew Bannister. 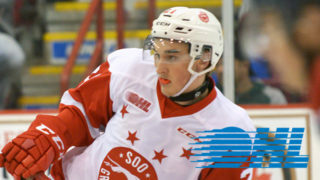 The game saw an improvement from the Greyhounds, who were not pleased with Thursday’s 4-1 loss in game one. “We set the pace early and we were more competitive,” Bannister said.